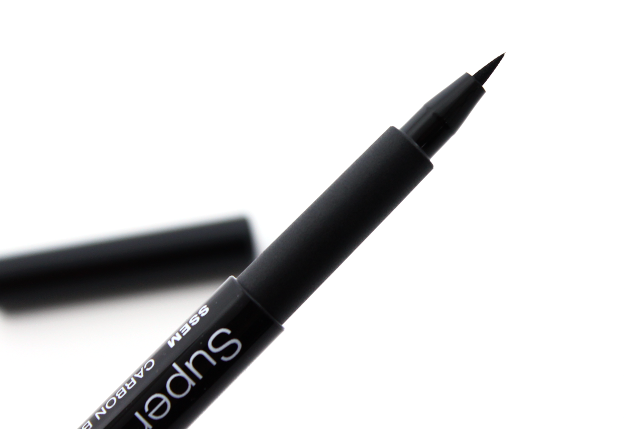 I am a gel eyeliner kind of girl all the way, but sometimes I crave that sharp, super shiny line that only liquid eyeliners can create. I have always preferred eyeliners that contained felt tip applicators over brush applicators. I think they are nicer to work with, and I love how easy they are to control. 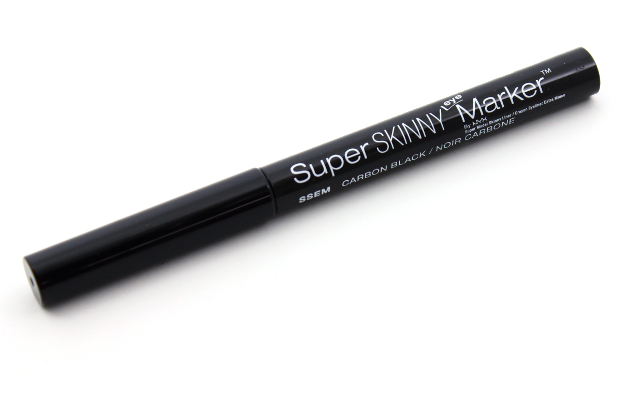 When I came across NYX's Super Skinny Eye Marker in carbon black, I just had to give it a try. It looked promising and besides, I could always use more liquid eyeliners in my collection. 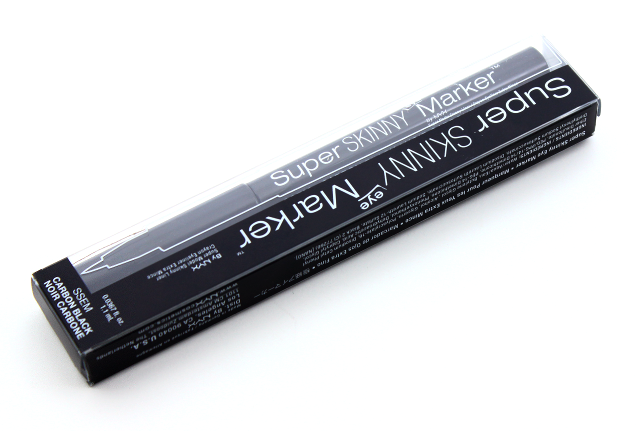 Just as I expected, NYX's Super Skinny Eye Marker is ridiculously easy to work with. A thin or thicker line can be created without much effort going into it at all. It's really hard to mess up with this eyeliner, since you have total control. Although I like the thin shape of the felt tip applicator, I am not fond of how rough it feels on my skin, or how it pulls and tugs at my delicate lids during application. I think the tugging also contributes to me not being able to get a smooth and even looking line, since my end result often looks a little patchy. 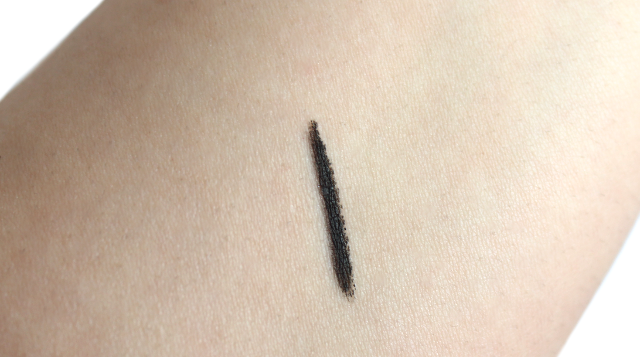 This eyeliner doesn't contain a super wet formula, so it dries pretty quickly. You know what that means-no lid transfer! I was a little surprised that this eyeliner dried to a flat, matte finish. It definitely didn't have that shiny factor that I was hoping for. The black coloring is not really as rich as I would have liked it to be. I have to go over the line quite a few times to up the intensity some. I would say this is more of a softer looking black. If you favor less-harsh looking eyeliners, NYX's Super Skinny Eye Marker won't disappoint in that department. I have encountered a number of liquid eyeliners that have the tendency to irritate my sensitive eyes, but this one didn't bother me one bit, which is good. If you have oily lids like I do, I heavily suggest sporting an eye primer for better lasting power. Without an eye primer, this eyeliner faded/smudged at the 3 hour mark. But with a primer, I got about 6 hours of wear time before any fading took place. 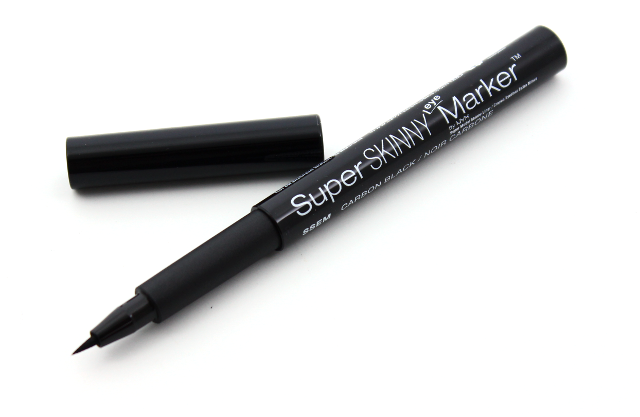 Unfortunately, NYX's Super Skinny Eye Marker wasn't what I thought it would be. It's such a shame because I really loved the fine shape of the felt tip, and how user friendly this is. Needless to say, this is not a repurchase for me. The search for a new felt tip liquid eyeliner continues. Which are your favorite liquid eyeliners? This eyeliner did not impress me much, unfortunately. But I am sure there are good ones out there! Do you have any felt tip eyeliner recommendations, Jennifer?